Before you begin designing your eco-friendly bag, do your research. We are here to help you along the way. 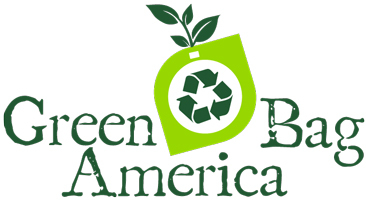 Give us a call at (877) 224-2299 or email sales@greenbagamerica.com. Check out some of our popular reusable bag colors here. Not what you need? No problem. Ask about our custom solutions. A digital sample will be provided. A physical sample can be mailed to you, but this will delay production. Upon approval of your sample, we move on to step 3. Hooray! Your order is in production. Our team is working diligently stitching, cutting, printing, packing, and shipping your new bags. You can expect lead times to be around 6-8 weeks. Your shipping time will vary depending on your location, country's customs policy, order size, shipping method, and carrier. Ask about expedited shipping options for rush orders. 5 – Love Your Bags!